Developed countries like the United States and Britain cited as areas that will experience the worst impacts of asteroids in case of attack. But do not be too quick to feel relieved, the article of Indonesia are also included in the 10 countries with the worst impact. Thus the results of the study researchers from the University of Southampton reported by the Daily Mail, Thursday (06/30/2011). In conducting the study, researchers used the software NEOimpactor, or project of NASA's Near Earth Object. For the first time, scientists identify any countries that will experience the worst impacts of asteroids in the attack, which makes them 'lame' and almost impossible to return to normal. Based on these studies, the ten states with the greatest risk are China, Indonesia, India, Japan, USA, Philippines, Italy, Britain, Brazil and Nigeria. China, Indonesia, U.S., India and Japan face the risk of loss of population in large numbers. While the countries with the threat of major damage to its infrastructure is the U.S., China, Japan, Sweden, plus Canadians who do not fit in the top 10. 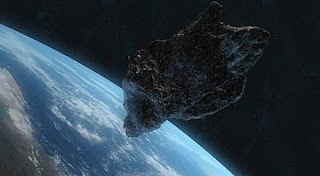 The research was conducted following the threat of asteroids that occurred early last week when a rock the size of two buses passed by Earth at a distance of approximately 12 thousand kilometers. Until a few days before the asteroid passed by Earth, astronomers had thought that it was just a foreign object space junk. "The risk of asteroid collisions with Earth are increasingly viewed as the greatest natural disaster that can be faced by human civilization. The consequences of human population and infrastructure of the disaster is enormous," said Nick Bailey of the University of Southampton. "Nearly 100 years ago, a remote region near the Tunguska River witnessed the largest impact of an asteroid collision in history, when a small object with a diameter of 50 meters exploded in the air," he continued. "Fortunately, the asteroid crashed in uninhabited jungle areas. But if it exploded over London, the asteroid could destroy everything," added Bailey. According to data DailyGalaxy.com, it takes the asteroid with a diameter greater than 12 miles (19 312 128 meters) to completely destroy all plants and animals on earth. Asteroids such as that allegedly had destroyed the lives of dinosaurs and other ancient creatures 65 million years ago.